The new edition of a comprehensive overview of the modern Chinese economy, revised to reflect the end of the “miracle growth” period. This comprehensive overview of the modern Chinese economy by a noted expert on China's economic development offers a quality and breadth of coverage not found in any other English-language text. 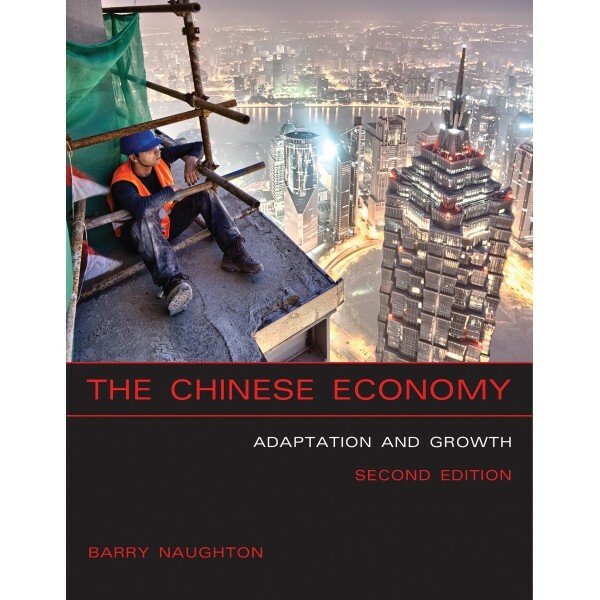 In The Chinese Economy, Barry Naughton provides both a broadly focused introduction to China's economy since 1949 and original insights based on his own extensive research. This second edition has been thoroughly revised to reflect a decade of developments in China’s economy, notably the end of the period of “miracle growth” and the multiple transitions it now confronts—demographic, technological, macroeconomic, and institutional. Coverage of macroeconomic and financial policy has been significantly expanded. After covering endowments, legacies, economic systems, and general issues of economic structure, labor, and living standards, the book examines specific economic sectors, including agriculture, industry, technology, and foreign trade and investment. It then treats financial, macroeconomic, and environmental issues. The book covers such topics as patterns of growth and development, including population growth and the one-child family policy; the rural and urban economies, including rural industrialization and urban technological development; incoming and outgoing foreign investment; and environmental quality and the sustainability of growth. The book will be an essential resource for students, teachers, scholars, business practitioners, and policymakers. It is suitable for classroom use for undergraduate or graduate courses.